Wow Danny, I had no idea you were so gnarly!!!! Great photo. 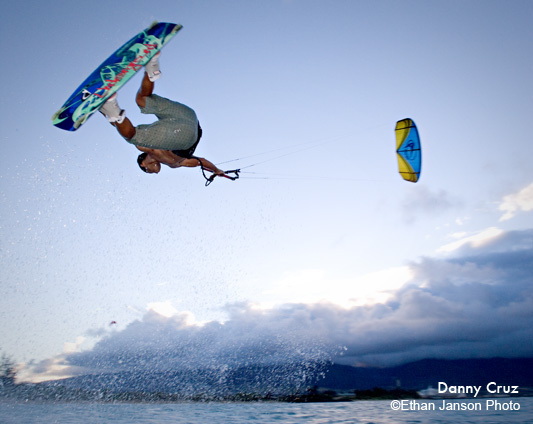 Almost makes me want to kiteboard, although I’d probably kill myself. You should also post the photo of the Westways mag that featured this shot. I’m sure I probably saw it – I get that magazine. 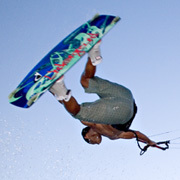 RT @sixstringsensei: Brand new blog post: My Favorite Kiteboarding Photo http://bit.ly/7jWiM7 Read it & please retweet. Hi Danny – Look – I’ll be straight with you. I am too old to go kite-boarding. It looks well scary. I do believe you are upside down in that photo, with your head hurtling at 60 miles per hour towards a wave (possibly with embedded shark, jellyfish . . .). I shake in my boots when I see the Poseidon Adventure. Respect. What are your rates? Send nearest airport – am on my way with buoyancy aid and stiff upper lip. 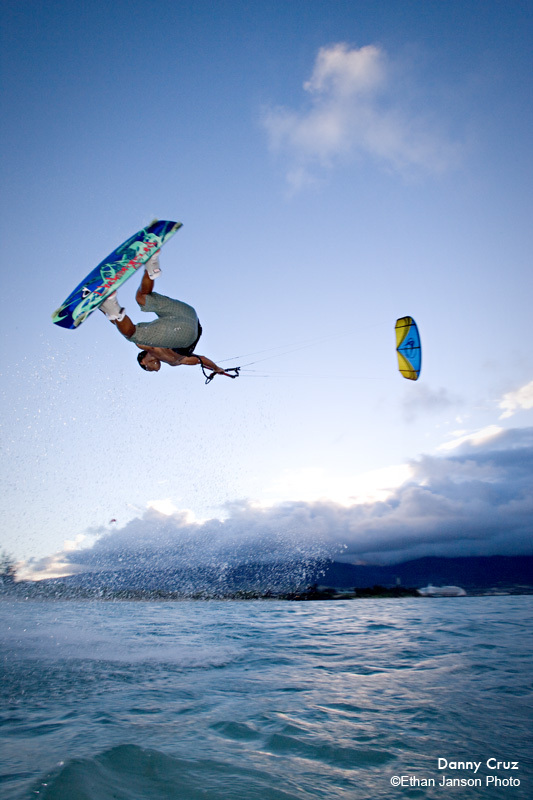 Great post by my friend, Danny (@sixstringsensei), on kiteboarding, Maui & setting. http://bit.ly/4ZfXpN I'd prolly get tangled in lines.